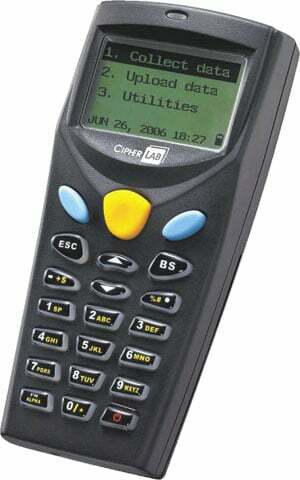 CipherLab 8000 Series: 8001 - Mobile Computer, Pocket Size, Batch, 4MB, Lithium-ion Battery, Laser Scanner. Interface Cables and Cradles Sold Separately. Charging Cradle (Part# A8001RAC00004).